1510 W Saint John Rd is a house in Phoenix, AZ 85023. 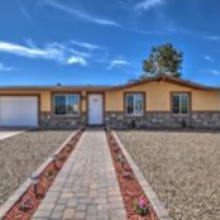 This 1,104 square foot house sits on a 7,430 square foot lot and features 1 bathroom. This property was built in 1972 and last sold for $96,670. We estimate the home’s value is now $159,362, which is 64.9% more than when it was last sold. 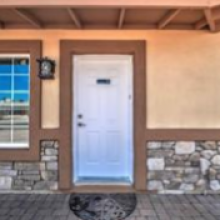 Comparable nearby homes include 1715 W CHARLESTON Ave, 17442 N 13TH Ave, and 1519 W CAMPO BELLO Dr. Nearby schools include Constitution Elementary School, Village Meadows Elementary School and Cactus View Elementary School. The closest grocery stores are Stan’s European Deli, HAJIABBAS MARKET (اسواق حجي عباس) and Lotus market. Nearby coffee shops include Dunkin’ Donuts, LaMar’s Donuts and Coffee and Starbucks. Nearby restaurants include Schlotzsky’s, Tasty House Chinese Restaurant and Ramiro’s Mexican Food. 1510 W Saint John Rd is near Morningside Park, Werner’s Field Park and Moonlight Mini Park. There are minimal bike lanes and the terrain is flat as a pancake. 1510 W Saint John Rd is somewhat bikeable, there is minimal bike infrastructure. 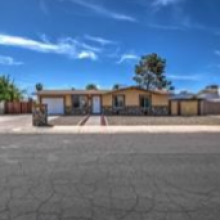 This address can also be written as 1510 West Saint John Road, Phoenix, Arizona 85023. 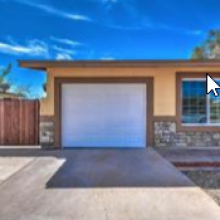 Approx SqFt Range: 964 Sq. Ft.
1510 W Saint John Rd is a house in Phoenix, AZ 85023. 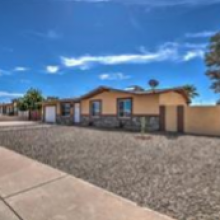 This 1,104 square foot house sits on a 7,430 square foot lot and features 1 bathroom. This property was built in 1972 and last sold for $96,670. Based on Redfin’s Phoenix data, we estimate the home’s value is now $158,952, which is 64.4% more than when it was last sold. 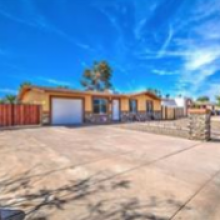 Comparable nearby homes include 1715 W CHARLESTON Ave, 17442 N 13TH Ave, and 1519 W CAMPO BELLO Dr.